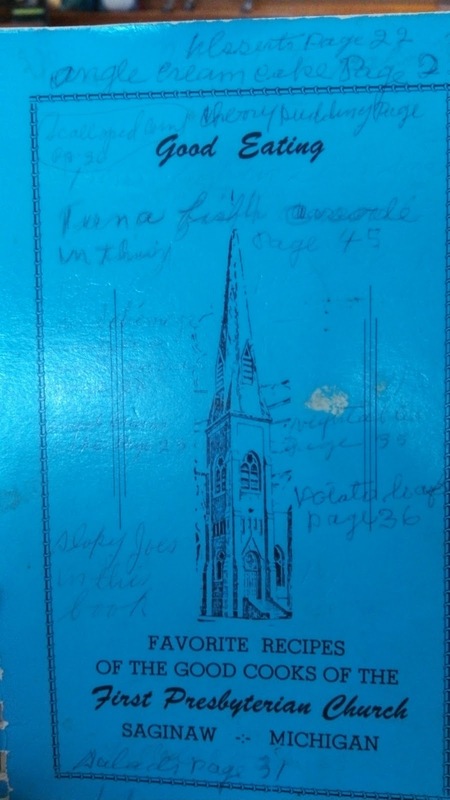 This church cookbook was handed down to me from my Grandmother. For the next several days I'll be posting her favorite recipes, some from family, some from church friends. Enjoy! Fix Jell-o and water as ordinary Jell-o. Add crushed pineapple. When Jell-o is set enough, whip. Add whipped cream and angel food cake which has been broken in small pieces. Spread in shallow pan 1-1/2 inches thick. Set in refrigerator overnight. Cut in squares to serve. Serves 20.